I choose you Pikachu! 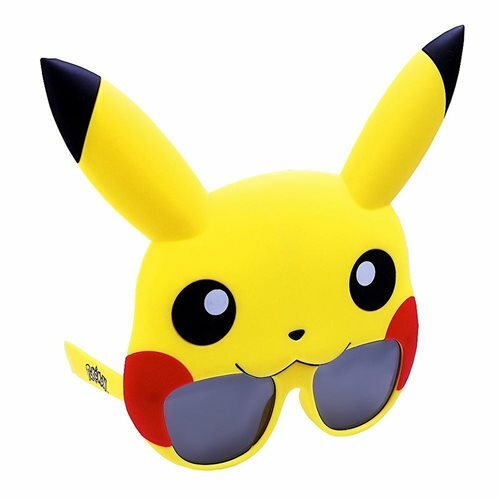 Now you can take Ash's loyal friend everywhere you go with these Pikachu Sun-Staches! Next time you head out on your next Pokémon adventure, don't forget your Pokémon Pikachu Sun-Staches! One size fits most and all Sun-Staches provide 100% UV400 protection. Measures approximately 8-inches wide by 7-inches tall. Ages 14 and up.